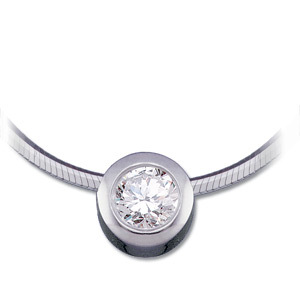 Diamond pendants, for your casual lifestyle ... or special occasion. Only the finest quality, most brilliantly cut diamonds make it into our pendants. The sparkle and fire will show from across the room! 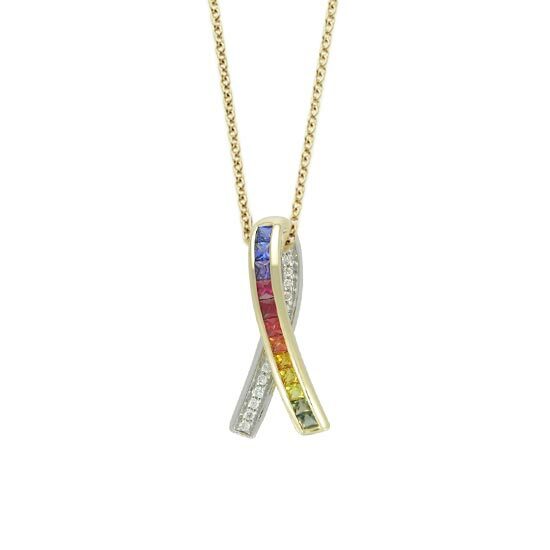 Select a colored stone pendant with your birthstone, or simply to complement a favorite outfit and show your fashion sense. Natural stones, available in a variety of vibrant colors and fabulous styles! 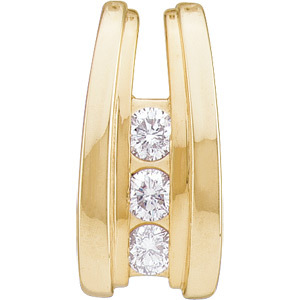 A slide is the perfect gift for the gold collar or chain owner - she can easily put the slide on and off. Available in diamond, colored stone or a combination, most women own several slides to perfectly match their outfit or the occasion.